Mohican Lake is a beautiful and well-protected natural lake (~150 acres) within the Town of Lumberland in Sullivan County, New York. Set in the forested headwaters of Mill Brook, a tributary which joins the Delaware River at Pond Eddy, New York, this lake and its associated wetlands serve as amazing natural habitats for a diverse set of plants and animals and help to protect the water quality and ecological integrity of this lake, this stream, and the entire Delaware River watershed. Like many lakes, non-native invasive species have become established in Mohican Lake, including Eurasian Watermilfoil (Myriophyllum spicatum). But the lake continues to be the home to many native submerged and emergent aquatic plants, and these native aquatic plants dominate the lake’s shoreline and underwater habitats. Unfortunately, the presence of a non-native plant like Eurasian Watermilfoil could lead to the chemical contamination of this natural lake in the near future (see FACT SHEET). The Mohican Lake Taxpayers Civic Association, which represents a portion of the lake’s homeowners, has applied for a permit from the New York State Department of Environmental Conservation (NYSDEC) to introduce two toxic herbicides into the lake during spring and early summer. Although the 2018 notice and 2017 permit application (see documents below) claim the herbicides will be used to control Eurasian Watermilfoil, the application areas instead target areas dominated by native water lilies (Nymphaea, Nuphar, Brasenia) and other native aquatic plants near the lake’s outlet. The introduction of this herbicide will primarily affect the extensive growths of native aquatic plants, with limited control of the Watermilfoil, and will thus destroy much of the natural habitat in the lake for fish, invertebrates, and wildlife. Just as importantly, the introduction of toxic herbicides will shut down the ability to swim in the lake for a time, will prevent the use of the lake’s water for irrigation and as a water supply for humans or animals, and could have negative effects far beyond the targeted area in Mohican Lake, including downstream in Mill Brook and it the Delaware River. Many Mohican Lake property owners have objected to this herbicide application, but in 2017 the NYSDEC issued the permit despite local opposition. 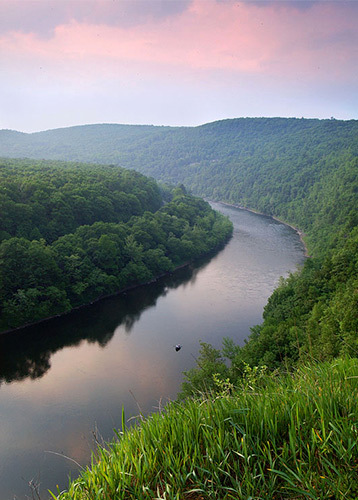 The Delaware Riverkeeper Network is joining these local voices in opposition to this herbicide treatment that will kill native plants and poison the water of both Mohican Lake and the broader watershed.